MILAN (Bloomberg) -- Fiat S.p.A. shares have tumbled because investors fear the Italian carmaker will need to raise fresh cash to finance CEO Sergio Marchionne's plans to combine with Chrysler Group LLC. Fiat may need to raise between 1.6 billion euros and 2.9 billion euros to finance the purchase of the remaining shares in Chrysler, Philippe Houchois, a London-based UBS analyst said today in a note. Marchionne said last month that "everything is on the table" to raise capital. Increasing its stake in Chrysler would help Fiat access the cash flow of the U.S. carmaker to finance a turnaround of the Turin-based company's unprofitable European operations. Wider losses in Europe caused Fiat to cut its 2014 profit goal by 31 percent to 5.2 billion euros. 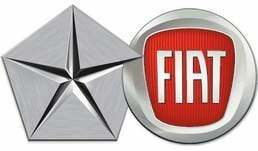 Marchionne has said Fiat needs to fix its business in the region ahead of finishing a full merger with Chrysler. Fiat shares dropped as much as 5.9 percent to 3.28 euros, making it the worst performer in Italy's benchmark FTSE MIB Index. The stock was down 5.8 percent as of 11:08 a.m. in Milan trading, valuing the company at 4.11 billion euros ($5.3 billion). The stock has lost about 18 percent since Marchionne presented a plan on Oct. 30 to boost production in Europe by expanding its lineup of upscale models. "Fiat may have to start paying around fair value for more Chrysler shares" as the prospect of an initial public offering nears, Houchois said. UBS downgraded Fiat today to neutral from buy on the potential for a capital increase. At least eight analysts have cut their recommendations on Fiat, while no analyst has increased its recommendation on the shares since the European restructuring plan was announced, according to data compiled by Bloomberg.